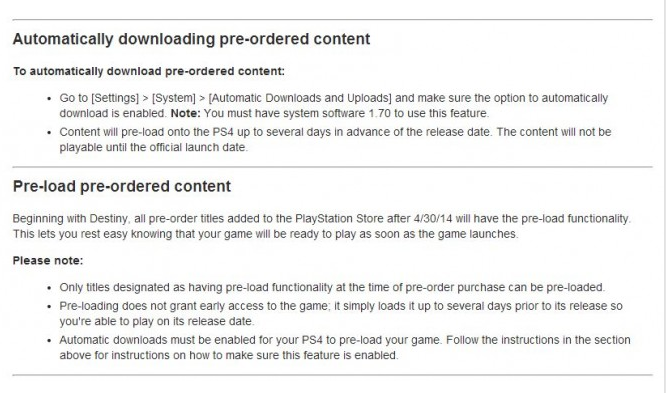 Sony has just confirmed that all games that come out after Destiny will receive a pre-load option. 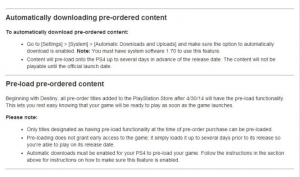 This means that any Playstation 4 game you pre-order can be pre-downloaded from the PSN. Watch Dogs was rumored to be the first game to have this feature, but it seems that is not the case. 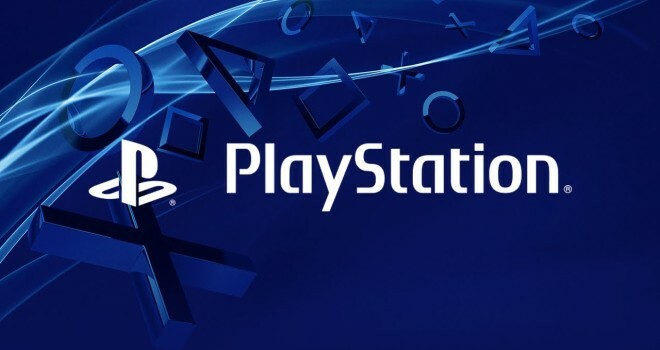 It will however, be available one minute after midnight (EST) for customers in North America.